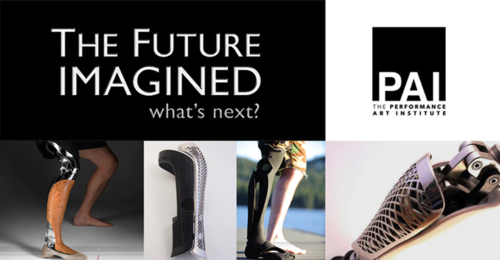 The Performance Art Institute (PAI) & CODAME cordially invites you to “The Body as the Design”, a talk by Scott Summit inventor, designer and participating artist of “The Future Imagined: What’s next? The talk will be followed by “The Future is Design” a short presentation by Tim McNeil, professor of design and director of the Design Museum at the University of California, Davis, and a moderated discussion led by Jonathon Keats, experimental philosopher, journalist, art critic, and artist. When we think of a prosthetic limb, the image that typically comes to mind involves titanium pipes, bolts, mechanical flanges, and a rubber, lifelike foot. The product, though a vital and intimate part of the wearer’s life, appears mechanical and utilitarian, devoid of individuality or personality. The forms appear disjointed and brutal in the context of the fluid forms of the human body. Why do we assume that this must be the definition for something intended to return normalcy to an individual’s life? 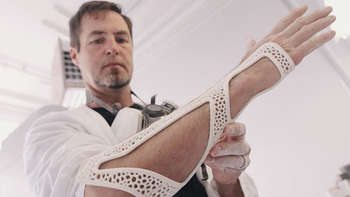 This project set out to explore how design, technology, and a fundamentally new outlook may rethink the prosthetic limb. A combination of 3D scanning, parametric computer modeling, and 3D printing allows design and individuality to be infused into the product on a per-person basis. It invites design and style into an area previously defined only by mechanical necessity. It invites attention and engagement, attempting to celebrate the human it complements. 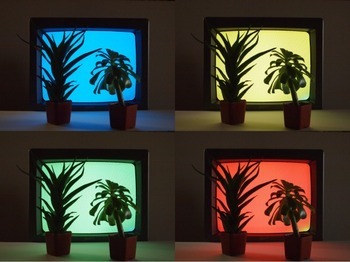 This panel discussion event is part of a series 2012 ZERO1 Biennial and “The Future Imagined” series of conversations that delve into an in-depth discussion about the intersection of art and technology, and the future of design. Tim McNeil is so up on museums and design it isn’t funny. Never without a vision, he is also a professor of design and director of the Design Museum at the University of California, Davis. 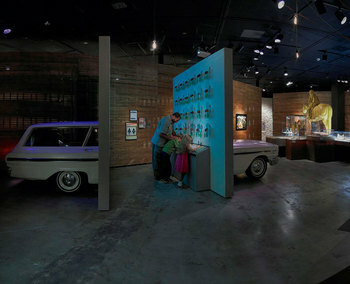 An authority on environmentally sustainable design solutions for exhibition environments, he chairs the California Association of Museums Green Museum Initiative, founded the Green Museums Accord, and in 2008 was inducted into the National Environmental Hall of Fame for his work on the NRDC’s Environmental Action Center. His award winning design research has been featured in multiple publications and he a frequent speaker at museum and design conferences. Jonathon Keats is an experimental philosopher, artist and writer. Exhibited at venues including the Berkeley Art Museum and the Wellcome Collection, his art projects have been documented by PBS, NPR, and the BBC World Service and covered in periodicals ranging from the New Yorker to the Economist to Nature. He is also the art critic for San Francisco Magazine, a visual arts columnist for Forbes.com, and most recently the author of “Forged: Why Fakes Are the Great Art of Our Age”, published this year by Oxford University Press. He is represented by Modernism Gallery in San Francisco.